A treat for all Mothers this Mother’s Day as The Syncopators take you on a trip though the music of Ella Fitzgerald and Louis Armstrong, accompanied by a delicious high tea. 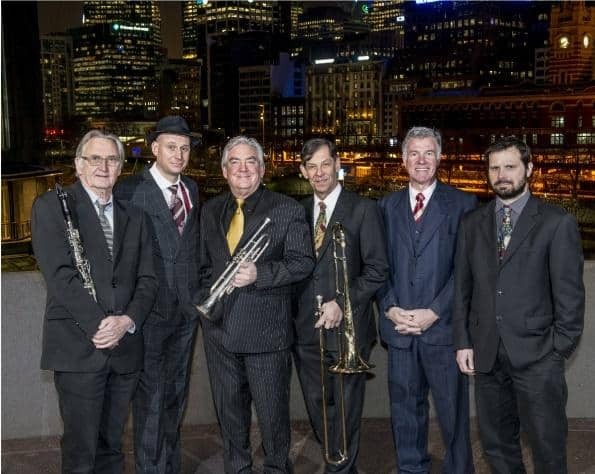 Who better to present this on Sunday 12 May than Australia’s premier jazz group – The Syncopators, who are no strangers to sell-out concerts including the ‘Great American Songbook’, Tribute to Bing Crosby’ and ‘Best of British’. With 35 years of experience they will team up with the vocal skills and musicality of one of Australia’s foremost ‘Ella’ exponents – Yvette Johansson – to create a delightful program that is sure to be both entertaining and exhilarating. The band, with eighteen European concert tours, one LP and seventeen CDs under its belt, is recognised by critics and peers alike as amongst the very best in Australia and are delighted to present this show in the sumptuous art deco setting of Memo Music Hall. The concert will start at the roots of jazz with its most influential figure, Louis Armstrong, as he was creating and shaping America’s new art form in the 20’s. It will progress through his big band era of the 30’s to his mature style and the famous vocal duets he created with America’s First Lady of Song – the fabulous Ella Fitzgerald. 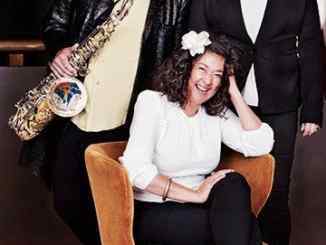 Mother’s Day High Tea – A Tribute to Ella Fitzgerald and Louis Armstrong with The Syncopators, at Memo Music Hall on Sunday 12 May will be an afternoon of fine food and family-friendly entertainment. A Reserve – With high tea service $79 pre-booking and $85 at the door. Located on the top floor of Eureka Tower in Southbank, Eureka 89 offers a truly memorable experience with dazzling views of Melbourne. Eureka 89 offers impeccably sophisticated degustation dining on selected evenings from Tuesday through to Saturday, and lunches on selected Sundays.